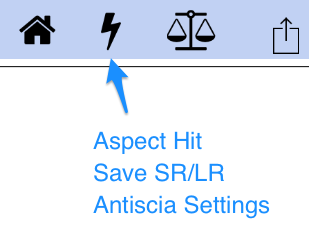 Tapping the Antiscia menu button. An Antiscia bi-wheel chart is drawn using the current natal/radix chart. 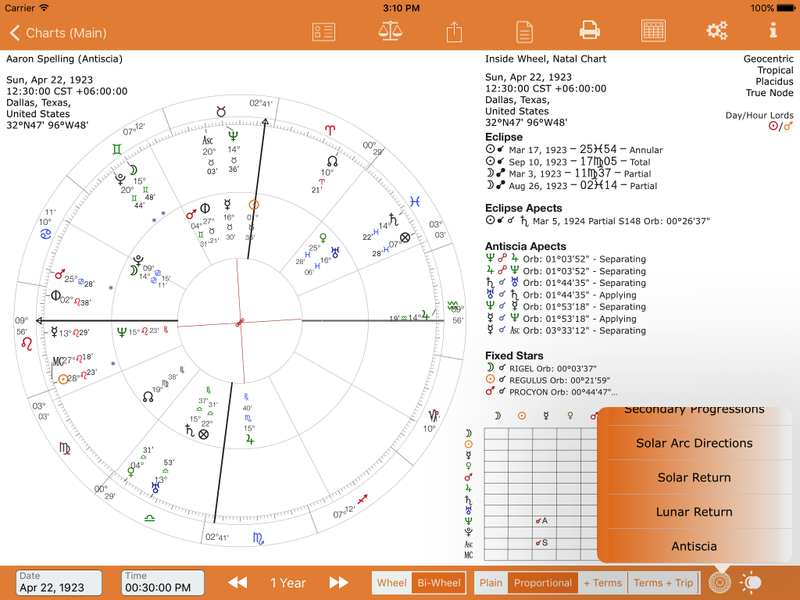 Antiscia charts are only drawn from the current natal/horary chart. 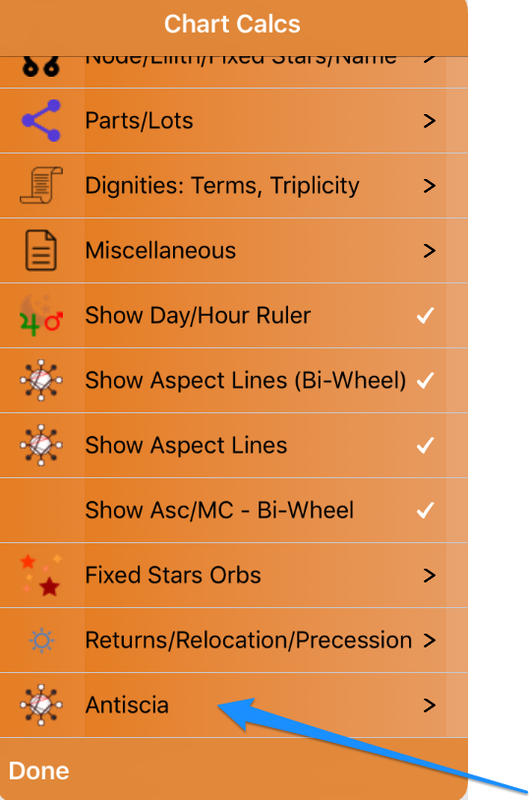 More choices will be added in due course. 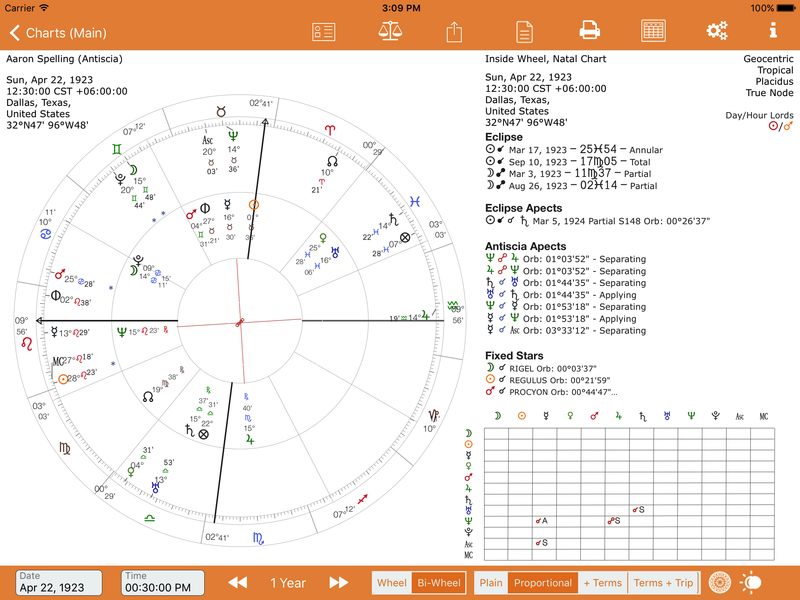 Note: not available for synastry charts. 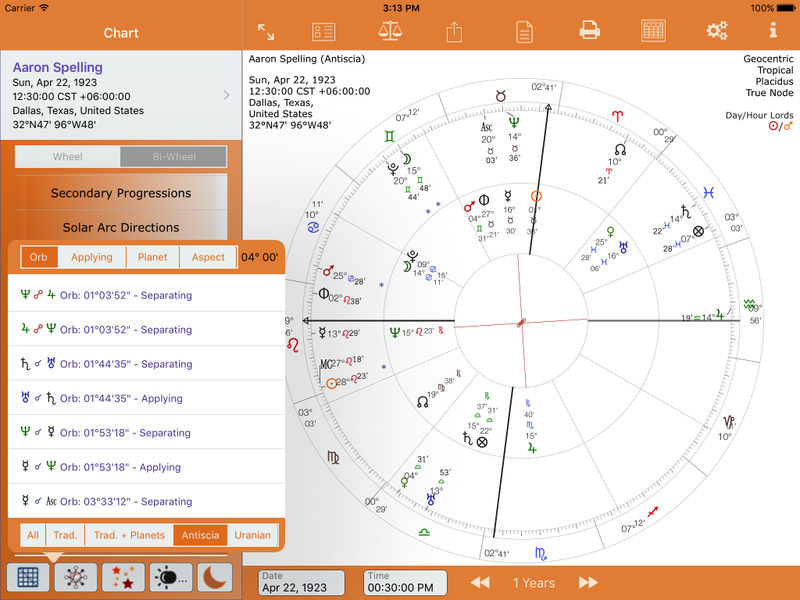 Essential Dignities are calculated for the antiscia chart. 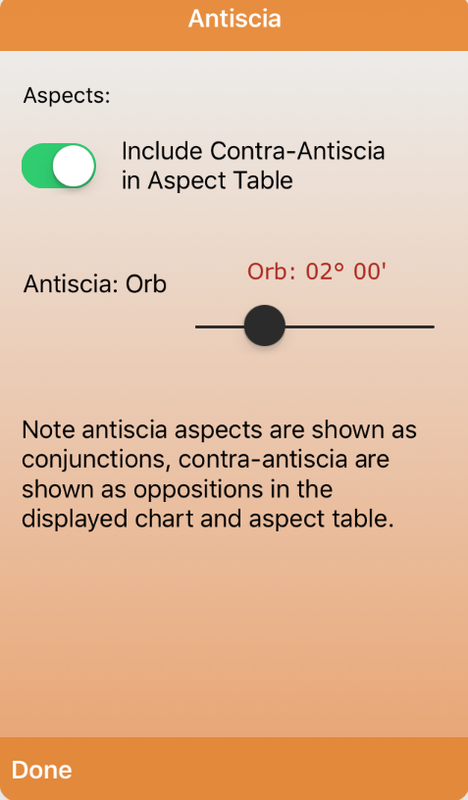 Aspect lines are not shown for antiscia charts as the conjunction aspect is considered the only relevant one. For contra-antiscia, opposition aspect lines are shown.